No longer legal in the United States. Lovers of pierogies in the United States can expect to see higher prices and no more ‘church lady’ pierogies after a ruling in a lawsuit brought by the European Union came down against the United States in the WTO court. 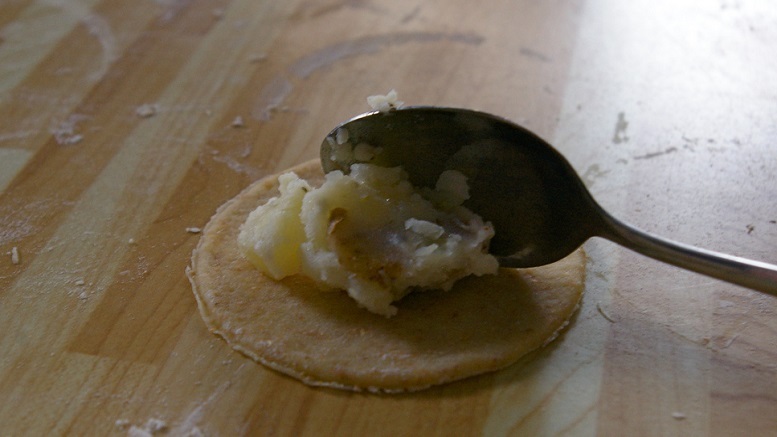 The suit contended that the United States had no right to produce and consume domestic pierogies as they were the intellectual property of a number of Eastern European countries. Pierogies may still be sold and consumed in the United States, but they must be authentic good imported from Poland or the Ukraine. The ruling is far reaching and places churches and VFW halls that make their own pierogies in legal jeopardy. Lawyers advise those making pierogies at home for their own personal use that they are problably okay, but warn them to keep quiet about it as they are certainly violating copyright. Leading frozen pierogie maker Mrs. T’s announced the immediate move of its manufacturing facilities to the port city of Gdańsk to remain in compliance with the new law. Be the first to comment on "All Pierogies To Be Imported From Eastern Europe Following Successful EU Lawsuit"